← Ukraine, Russia, and European Natural Gas: Is This an Opportunity for U.S. Producers? Last week I wrote about Ukrainian, Russian, and European natural gas markets and the recent developments that may present an opportunity for U.S. gas producers. Well, it’s been another busy week in the European natural gas market. Gas pipeline projects are already responding to the events in the Ukraine: South Stream is dead. Shah Deniz lives. 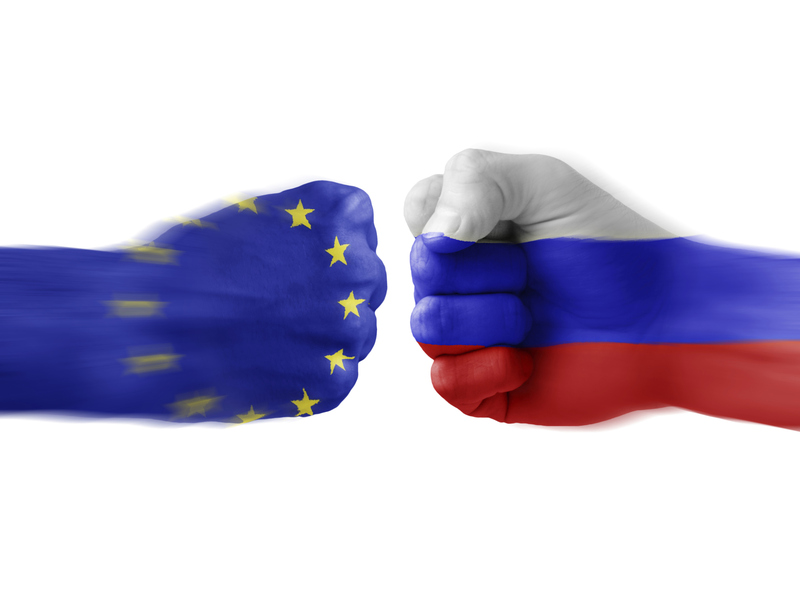 The EU is strategizing to reduce its energy dependence on Russia while protecting all of its members from possible energy blackmail. And Bulgaria wants to be a hub for all new pipelines to Europe. Merkel, the leader of Europe’s strongest economy, is advocating that pipeline flows across Europe be reversed if necessary to protect countries to the East that are almost completely dependent upon Russian natural gas. Given that Germany and Russia are linked by the Nord Stream pipeline, Merkel’s statements seem to indicate that Germany will ship Russian gas eastward to help out its neighbors if necessary. Gazprom built the Nord Stream pipeline system along the Baltic Sea to Germany, deliberately creating a direct path to the EU, which bypassed Ukraine. The next project, South Stream, is supposed to cross the Black Sea, again bypassing Ukraine. Natural gas companies from Germany, Italy, France, Hungary, Bulgaria, Greece, and Serbia are partners with Gazprom. However, given the events in Crimea, desire to add Russian gas supplies to central and western Europe has dissipated. Another natural gas pipeline suitor is on Europe’s doorstep, however. 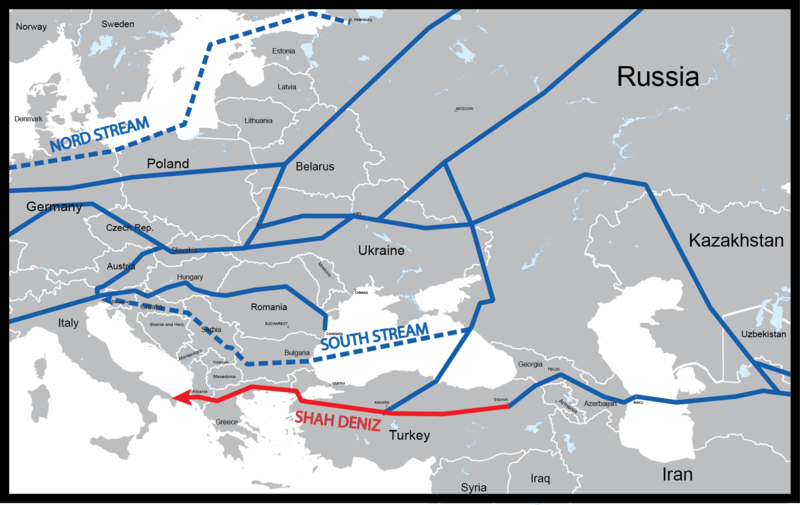 Shah Deniz is a project that will bring Azerbaijani natural gas to Europe. In December 2013 EU leaders and Azerbaijan came to an agreement for the project that will originate in Azerbaijan and travel through Georgia, Turkey, Greece, Italy, Bulgaria, and Albania. The project has several large phases, but in the end, not only will a new non-Russian source of supply be available to the EU, but the southern European gas systems will finally be interconnected. Standing precariously in the middle of this malaise is Bulgaria as it tries to not offend either Russia or the EU. The former Eastern Bloc country simply wants to be the natural gas hub for all new pipelines, whether they originate in Russia or elsewhere. It’s probably the safest strategy for a country that not so long ago was not free to decide anything on its own. Bulgaria Braces for Larger Role Amidst Ukraine Crisis, Natural Gas Europe, March 17, 2014. Gas Politics After Ukraine, Brenda Shaffer, Foreign Affairs, December 17, 2013. Europe Scrambles to Break Gas Dependence on Russia, Offers Ukraine Military Tie, Ambrose Evans-Pritchard, The Telegraph, March 21, 2014. Russia’s Invasion of Crimea Has Caused It To Lose the Latest Battle in the Pipeline Wars, Steve LeVine, Quartz qz.com, March 25, 2014. South Stream Victim of Crimea Annexation, EurActiv.com, March 23, 2014. This entry was posted in Natural Gas and tagged Energy industry, European Natural Gas, Natural Gas, Natural Gas Markets, Natural Gas Pipelines. Bookmark the permalink.